As a functional medicine doctor who specializes in bio-identical hormones, I am asked often about hormones and breast cancer. No documented cases of bio-identical hormones causing cancer, however, improper use of hormones could increase a woman’s risk for breast or uterine cancer. There is much talk about hormone use and cancer, the majority of uterine and breast cancers are diagnosed in women, not on hormones. This is because the majority of cancer risks arise from everyday toxins found within our homes, beauty products, and foods coupled with our body’s inability to clear them. Cancer risk is also increased when our immune system is not functioning properly due to high inflammation and oxidative stress. With so many risks in the environment, it is important to look at ways to decrease our risk of cancer. One way is through the use of a commonly found household medication. You reach for them when you have a headache, a fever, menstrual cramps, or any kind of inflammation: NSAIDs (non-steroidal anti-inflammatory drugs). Other drugs in this class are the painkillers found in just about every medicine cabinet. In addition to alleviating pain, aspirin, in particular, has long been recommended as a preventative measure for people with heart disease. 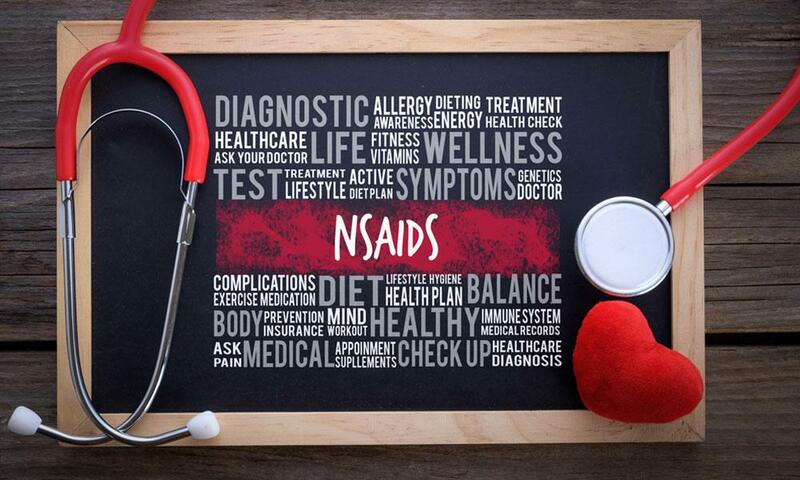 But could NSAIDs help with more than aches, pains, and heart health? Benefits of aspirin for cardiovascular health for those with heart disease are well known. An aspirin a day doesn’t necessarily keep the doctor away, it does help prevent clotting, thus reducing the risk of heart attacks and strokes. Several studies in the past few years have made the case for NSAIDs in the reduction of cancer risk, too. A notable 2011 study in The Lancet (“Effect of daily aspirin on long-term risk of death due to cancer: analysis of individual patient data from randomized trials”) examined 25,000 patients enrolled in eight trials. The purpose of the study was to evaluate aspirin usage and cardiovascular health over time. Some other interesting findings also emerged: Daily aspirin over time led to a reduction in cancer deaths (i.e., esophageal, brain, lung, colorectal, pancreatic, stomach, and prostate). Here’s the connection: COX (cyclooxygenase) enzymes trigger both inflammation and the spread of cancer cells. As a result, cancer treatment typically includes COX inhibitors. Aspirin, too, may play a role in inhibiting these enzymes and therefore reduce the growth of tumors and the spread of cancer cells to other parts of the body. The 2011 study that inspired subsequent research on aspirin as cancer preventative did not address breast cancer, which has a 40% mortality rate and affects an estimated 1 in 8 women. Given this and the fact that breast cancer incidence has not changed much in the last 30 years, there’s been a great deal of interest in exploring the relationship between breast cancer and NSAIDs. So Do They Help or Not? The BreastCare article suggests further research, given the incongruous results for breast cancer in particular. As with all health care matters, a discussion with your physician to assess benefits and risks reflective of your own health history is the best starting point. If you are in the Los Angeles or Beverly Hills area and interested a health assessment and personalized discussion, book an appointment through my office.